Microworkers is one the very well-known freelancing workplace in Bangladesh. Microworker is a series of small tasks which together comprise a large unified project, and are completed by many people over the Internet. An estimated $375 million was contributed by digital crowdsourced labour in 2011. 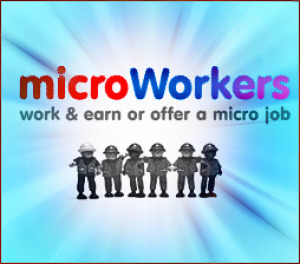 Microworkers with a lot of micro/mini works provided by client. An worker can done every job once. With in 7 days he will be rewarded by client and get paid. All tasks are easy and simple. Unskilled workers are also may work here. Clients also provides and finished their jobs easily and within short time so that they can save their time about short tasks. When you have above 10 dollar available on your microworkers account you can withdraw your fund via paypal. Everybody know that in Bangladesh here is no paypal available. But you can receive your money via paypal through paymentbd.com. It is simple , easy and trusted paypal money transfer agency.